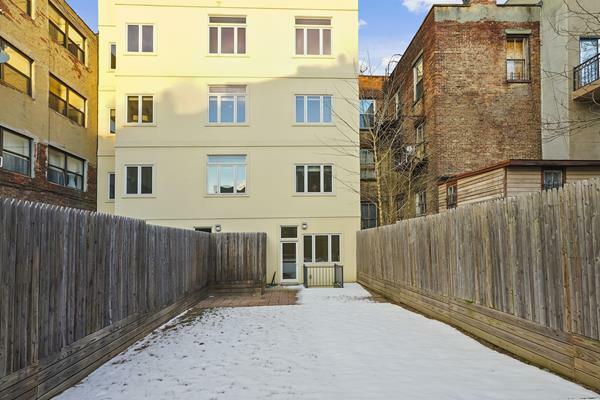 If you're looking for an oversized 2 bedroom duplex with your own large private yard, look no further. 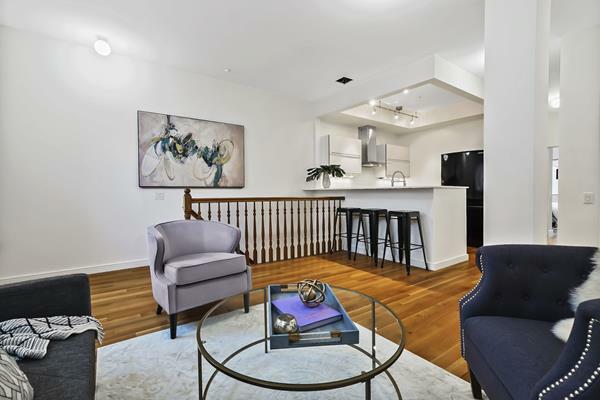 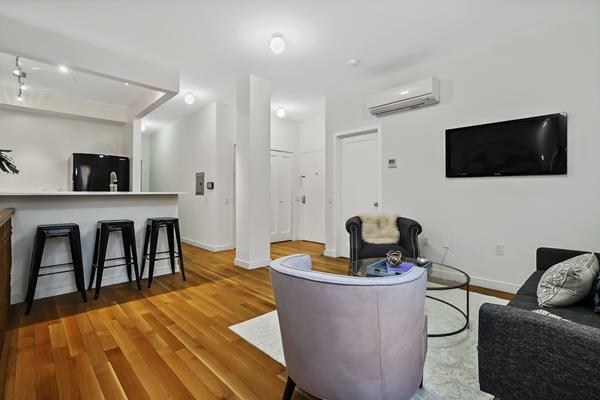 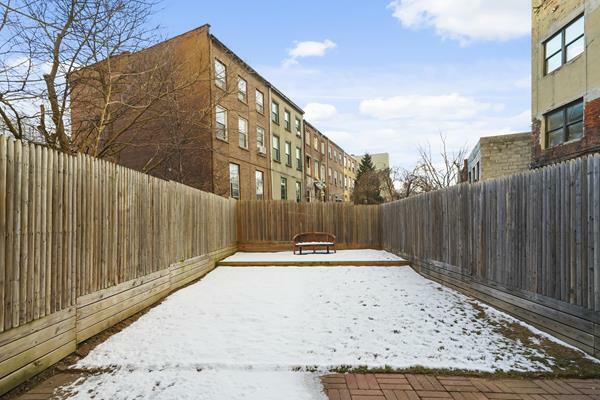 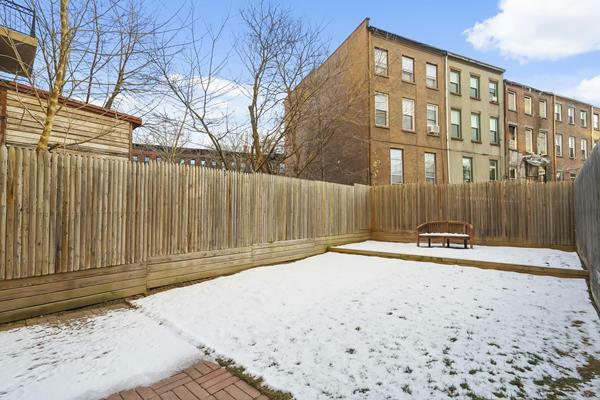 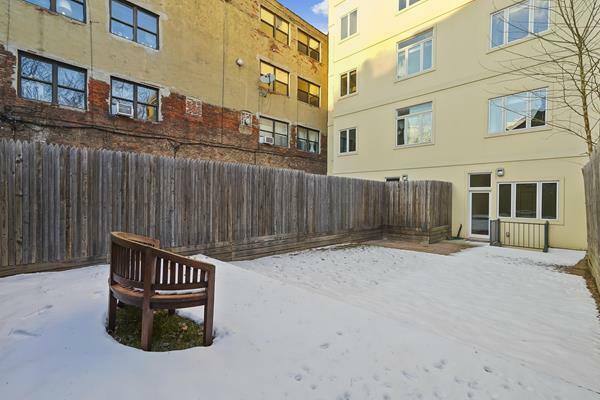 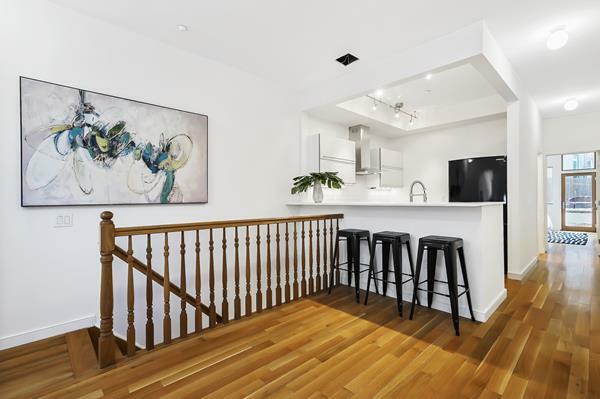 This 1338 square foot 2 bed, 2 bath duplex with lofty ceilings, hardwood floors and 895 square feet of private outdoor space affords you a special place to enjoy balmy days and entertain guests. 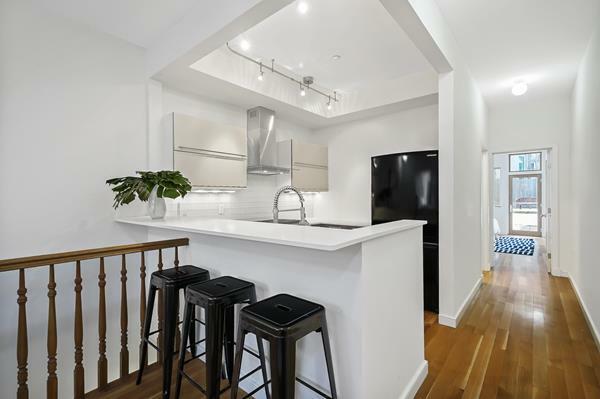 On the upper level, clean lines, the bold contrast of gleaming white lacquer and white quartz with mahogany make the open gourmet kitchen a perfect picture. 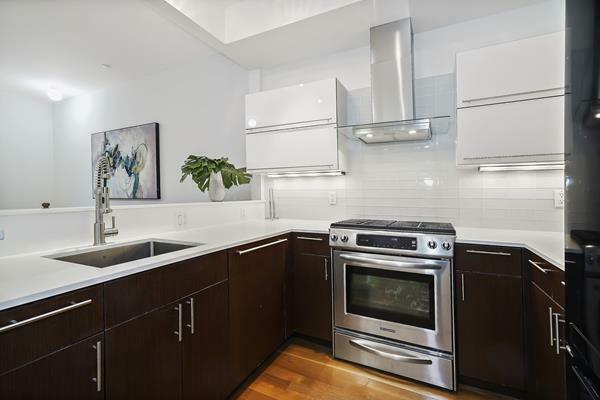 High-end stainless steel appliances, a glass range hood, a deep sink with veggie sprayer, under-mount cabinet lighting, and ample counter space set the stage for all your culinary exploration. 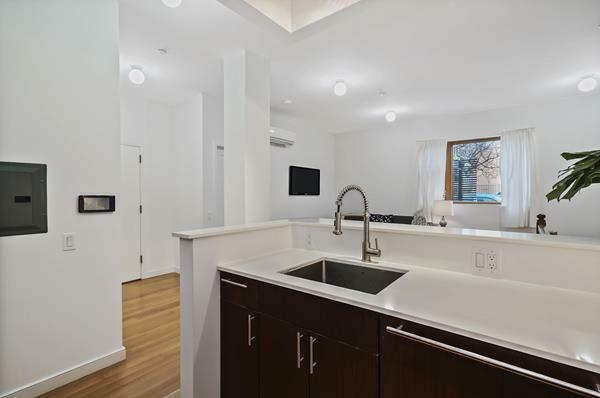 The kitchen opens out to the well lit and spacious living area, so you never have to stray too far from the party. 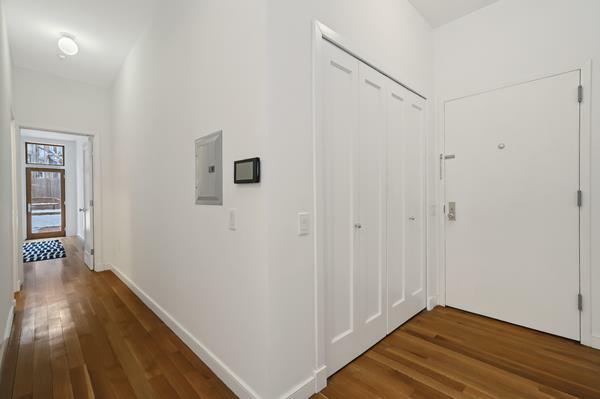 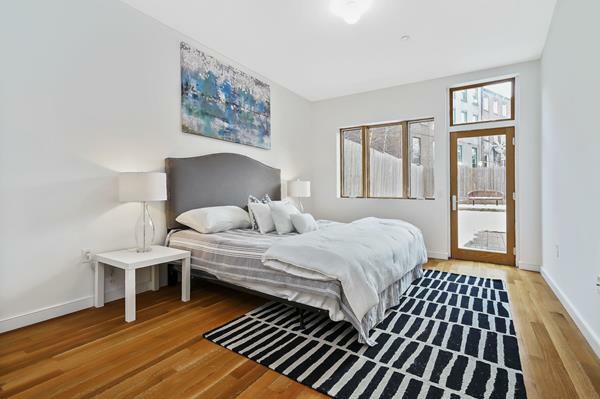 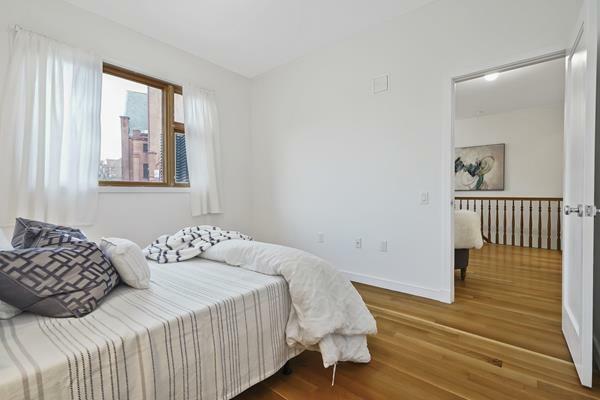 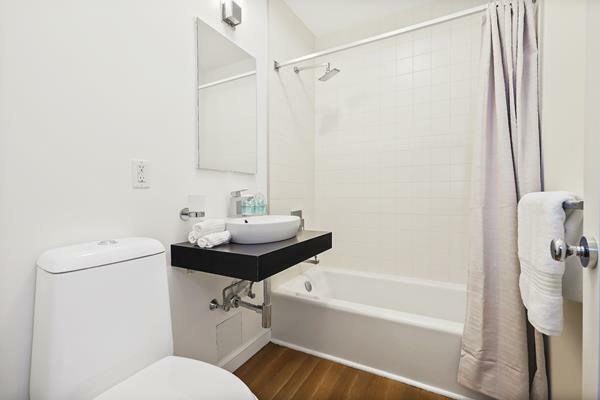 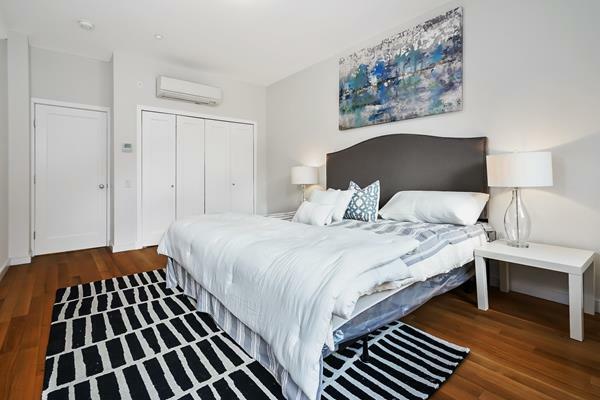 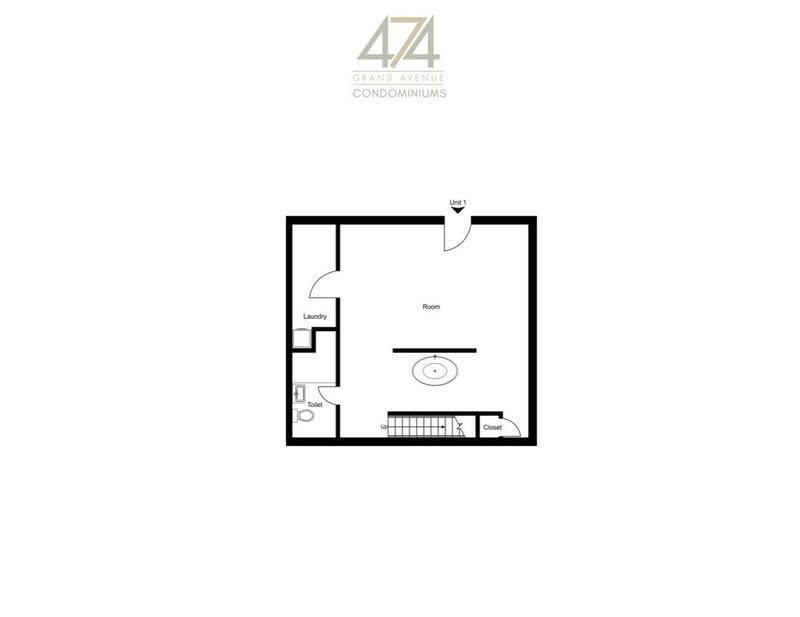 Two spacious bedrooms with large closets and a full bathroom can also be found on this floor. 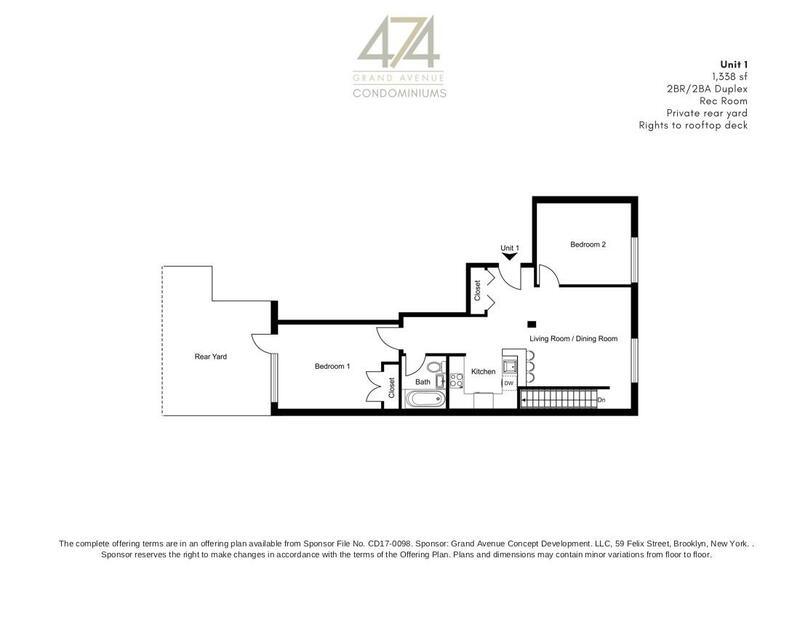 Just a few steps down to the lower level, you will find a very large recreation room with a spacious bathroom, a large laundry room and an oversized storage closet that allows you the flexibility to create a very unique space. 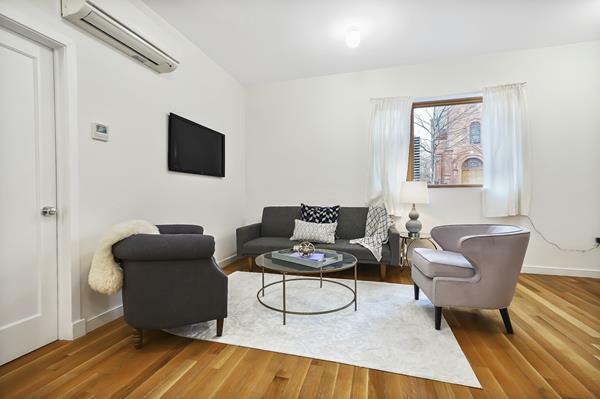 This unit also comes well equipped with an in-unit washer/dryer, video intercom, plenty of closets, central air and heat to keep you comfortable all year round.